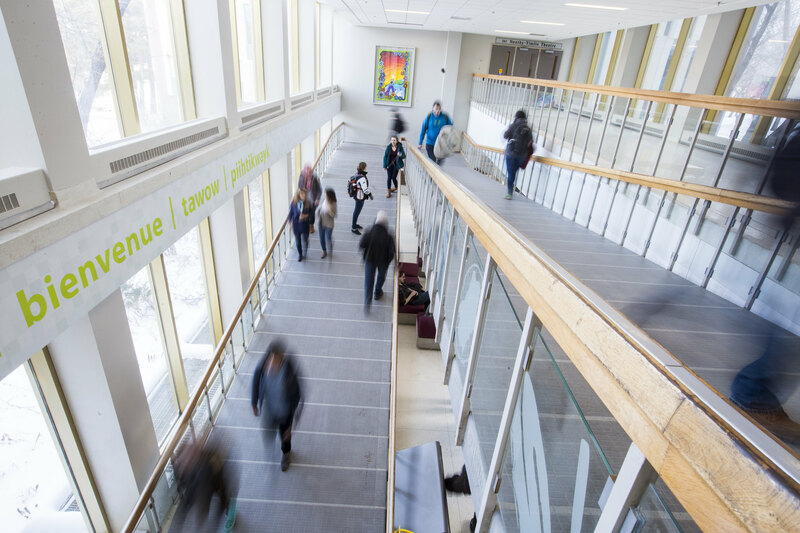 A major capital renewal project funded through the Sustainability Revolving Fund has just wrapped up in the Arts Building, resulting in huge water and cost savings. The project, which involved the replacement of 75% of the toilets and urinals in the Arts Building and installing aerators on 85% of the faucets, began in June 2018 and was complete by the end of October 2018. As of April 1, 2019, the final report on the project has brought extremely good news: a projected savings of ~13,263,000 L/year and annual cost savings of ~$33,000. The retrofits done at the Arts Building are projected to save ~13.3 million L/year and ~$33,000 in annual utility costs. "This is all part of a general overview at this point so official utility numbers and costs still need to be fine-tuned, but this is a fantastic preliminary result," says Punam Grewal, Project Manager with the Enterprise Project Management Office (EPMO). "Annual savings are projects at $33,000 per year, so with a total project cost $153,000 that works out to a 4.6 year payback period on this project. With rising utility costs, savings will only increase over the long term and this project proves that replacing plumbing fixtures is a worthwhile investment. Based on the info currently available, the Arts Building is now using about 50% less water compared to before the upgrades." "Based on the info we have now, the Arts Building is now using about 50% less water compared to before the upgrades." This project would not have been able to get off the ground if it were not for the help of the Sustainability Revolving Fund, a campus initiative that has helped fund many other sustainability-related projects over the years. "The Revolving Fund has been an important step in helping these kinds of projects get off the ground," says Erin Akins, Sustainability Initiatives Coordinator at the Office of Sustainability. "We're at a point now where it's much easier to recognize the return on investment for sustainability projects because of our past successes. It's exciting to see some of these big moves come to fruition and make the university a better place." This isn't the first time the university has invested big in water conservation; in September 2012 the Education Building was selected as a pilot site for a number of water fixture retrofits. The university has established a commitment to water conservation over the years, one that has been codified into our Energy and Water Conservation Policy. Work like this is continuing to make the university a more sustainable place now and in its future. For more information on water conservation at the university, please take a minute to look at our page on Water Use at USask.